This past week I ran a series of articles helping you (and me!) get ready for the new school year. Personally, I love this time of year – like Anne Shirley, I excitedly look forward to a whole new year with no mistakes in it yet. We collect our materials, plan our schedules and get … Continue reading "Back to “Home” School Series (B2HS)"
This is the 4th post in my Back to “Home” School blog series. So far this week, I’ve given advice to the new homeschooling mother, helped you to get your school materials organized, and given you tips to avoid burnout. Today we’re going to talk about timelines! Timelines are essential when it comes to showing … Continue reading "B2HS: Build Your Own Timeline 101"
This is the second post in the Back to “Home” School series. Yesterday I gave some advice to new homeschooling mothers, and today, we’ll be discussing how to get organized. So you bought your curriculum and you went school supply shopping… Now what? 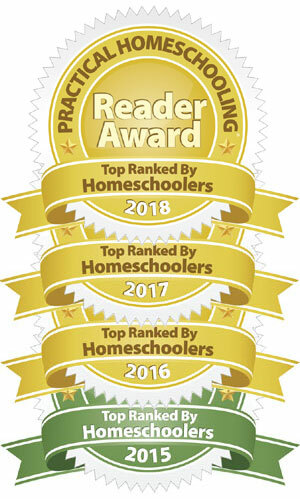 If you are like most homeschooling parents, you are hoping to find … Continue reading "B2HS: Getting Organized for the New Homeschool Year"
April 22nd is Earth Day, the annual celebration to inspire awareness about pollution and appreciation for protecting the health of the environment. This is a great reason to get outside, especially if you’ve had a long winter. I know you can probably all enjoy a little fresh air and sunshine today. Hopefully your weather is cooperating. This day marks the anniversary of … Continue reading "Free Earth Day Mini Unit Study"
In honor of Black History Month, I thought it would be fun to again recommend some favorite books that deal with civil rights and famous African Americans. Each Wednesday throughout the month of February I shared a selected book on our Build Your Library Facebook page. Here is the recap: 2/7/2018: My first book recommendation … Continue reading "Black History Month Book Recommendations 2018"
Today is Darwin Day (February 12), a day to celebrate scientific ingenuity and bravery. Charles Darwin was just one of many scientists who strove to change the way people think about the world. Charles Robert Darwin, (February 12, 1809 – April 19, 1882) was an English biologist, naturalist and geologist. He was best known for … Continue reading "Happy Darwin Day!" I am very excited to announce the next installment in our Harry Potter unit study series! It’s time to head back to Hogwarts for Harry’s fifth year in Harry Potter and the Order of the Phoenix. This year Harry has a lot on his plate. The Ministry of Magic is actively working against him, the … Continue reading "Unit Study: Harry Potter and the Order of the Phoenix"
I remember when I first started homeschooling. 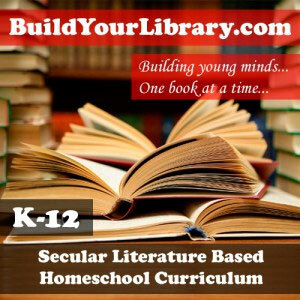 My oldest was four, and I excitedly poured over dozens of homeschool catalogs. There were so many options and all of them seemed necessary if I wanted to have a well rounded student. So, I bought way too many things and didn’t even use half of them. This … Continue reading "Homeschooling: Keeping it Simple"
“I would have children taught to read before they learn the mechanical arts of reading and writing… A child does not lose by spending a couple of years in acquiring these because he is meanwhile “reading” the Bible, history, geography, tales, with close attention and a remarkable power of reproduction, or rather, of translation into … Continue reading "Learning Vocabulary in Context"
In honor of Black History Month, I thought it would be fun to recommend some favorite books that deal with civil rights and famous African Americans. Each Wednesday throughout the month of February I shared a selected book on our Build Your Library Facebook page. Here is the recap: 2/1/2017: Today I’m highlighting One Crazy … Continue reading "Black History Month Book Recommendations 2017"
“Are worms made out of metal?” And other great rabbit trails. Yay Libraries! A Contemplation of Things Past. Pearl Silver on “Are worms made out of metal?” And other great rabbit trails. Kathy Cook on “Are worms made out of metal?” And other great rabbit trails.